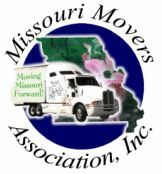 Harold Williams Moving Co of Blytheville, Inc.
WILLIAMS MOVING COMPANY IS A FULL SERVICE NATION-WIDE MOVING AND STORAGE VAN LINE CENTRALLY LOCATED IN DEXTER, MISSOURI. WE HAVE A RICH TRADITION OF PROVIDING QUALITY MOVING SERVICES TO OUR CUSTOMERS. WHETHER YOU ARE MOVING ACROSS THE STREET OR ACROSS THE COUNTRY YOU CAN RELY ON WILLIAMS MOVING COMPANY TO PROVIDE YOU WITH A GREAT MOVE!